VR.5 is a short-run science-fiction series that aired on the Fox network in 1995. Despite never having been issued on DVD, Blu-ray, or digital download, it is still remembered by viewers drawn to the story of quiet, introverted telephone technician Sydney Bloom (Lori Singer) and her accidental discovery of a highly advanced form of virtual reality. By the end of the season things proved to be more complex than they appeared on first blush, with new twists and deeper mysteries just about every week. VR.5 was created by Thania St John, Michael Katleman, Geoffrey Hemwall, Jeannine Renshaw, and Adam Cherry. The executive producer was John Sacret Young. VR.5 aired on the Fox network from 10 March 1995 to 12 May 1995. Ten episodes were aired, though 13 were produced. 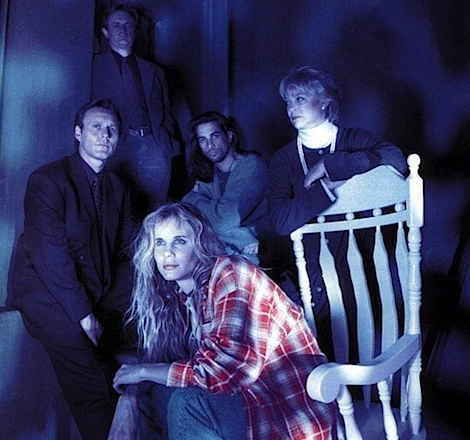 The three ‘lost episodes’, produced to facilitate sales in overseas markets, were first seen in the USA when the SciFi Channel aired the series in 1997. Use the website menus above to learn more about VR.5 and the people who made it an exceptional sci-fi drama.